RISHLOO first came on the scene in the year 2002 in Seattle, Washington, USA. The band's formation occurred between guitarist Dave Gillett, bassist Sean Rydquist, and the band's first drummer, merely credited as 'Tyler'. Vocalist and lead songwriter Drew Mailloux was the last initial member to join. Taking influence from such such classic greats as The Beatles, Pink Floyd, Led Zeppelin and David Bowie, the band always strives to go somewhere new with each successive album release. Traces of all of those influences and more can certainly be heard peppered throughout. 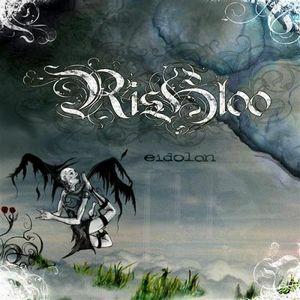 Often compared to modern, popular prog acts such as Dredg, The Mars Volta and Tool, Rishloo quickly obtained a following among the indie music crowd, but soon gained momentum in the prog circuit with their self-released 2004 debut, "Terras Fames". Its atmospheric soundscapes married with modern-day guitar licks and familiar themes earned the four men a dedicated fanbase that would play a huge role in the band's rapid popularity growth over the next few years. 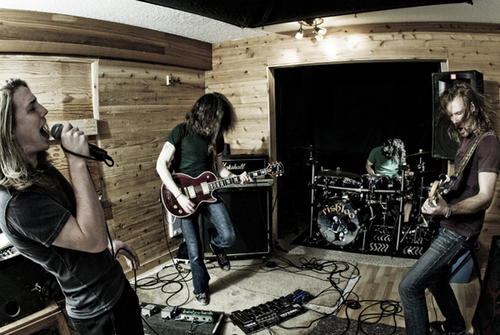 The band's second release, "Eidolon", took much more risks than its predecessor, and began to branch out the band's sound significantly. Gone were the immediately apparent similarities to their fellows, and much more present was a strong sense of originality and flare that would remain with the band and continue to strengthen their reputation as a stand-alone progressive rock back. This time the album not only sounded like modern-day prog, but took blues and jazz influences as well, allowing the variety of their muses to truly shine through. The album was a success, despite it also being self-released by the band members themselves, just like the first. In December 2009, the band's third studio album, "Feathergun", was released to much positive fan and critic reaction. Sell your RISHLOO items on eBay ! Living As Ghosts With Buildings As Teeth is the crowd-funded reunion album from the incredible Seattle Progressive band Rishloo. Its their fourth full-length album overall and sees the band back together now that singer Andrew Mailloux has returned to the fold and the other bandmembers changed their separate crowd-funded new instrumental band The Ghost Apparatus back into Rishloo. 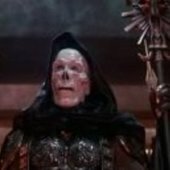 Its been an interesting wait as a fan, but I won't bury the lead? that wait was well worth it! Consisting of just eight tracks with no intros, outros or hidden bonuses, this is the bands most succinct and concise offering to date, but you can file that under fat-free and lean rather than skimping on extras. Stylistically; if you haven't heard the band before, they are often compared to bands like Tool, A Perfect Circle, Coheed & Cambria, The Mars Volta, Porcupine Tree, Soen, Dredg, Fair To Midland, Jurojin, Cog, Karnivool, Circe, The Mayan Factor and others. No single comparison there really does justice to what you can actually expect, but if you understand the sort of common theme between all of those bands you can at least expect the right ballpark. On top of that, Rishloo are also constantly developing and evolving, and no two of their albums sound that much alike because they progress and change over time (while always retaining a certain core identity where you can still tell its them straight away) so even their own catalogue doesn't necessarily train you for what to expect here. This album is stylistically a million miles from their 2004 debut Terras Fames, but in a way that makes sense and feels logical. In that spirit, Living As Ghosts With Buildings As Teeth is no simple retreading of their back catalogue, nor any attempt to sound like someone else. On this album Rishloo sound like nobody but Rishloo. Even the previous Tool comparisons bounce limply off this album like wooden arrows off a tank. Hints is all you get, the rest is new. This record sees the band mix things up even more and explore different sounds, textures and combinations. Drew tries out new voices and styles he hasn't used before, such as the deranged sounding heavy vocals in the middle of 'Winslow.' There are guitar styles a past fan wouldn't expect. Things that only came up once on a previous album are given more time. The rhythms are more disjointed and jarring. There's even more playing in uncommon time signatures and switching between tempos; opener 'The Great Rain Beatle' is particularly jagged, its unhinged and yet hypnotic like some psychedelic nightmare and makes Mars Volta comparisons more understandable? its like the most jagged parts of 'Scissorlips' made into an entire song. So too is the jazzier single 'Landmines' in its heavier sections. Although that being said, towards the end from the guitar solo onwards that kicks into some beautiful, straightforward head-banging energy. There are also more hints of classic '70s Progressive Rock here than there have been on previous albums, to the point where (deep and hidden) you get feelings of almost Tales Of Topographic Oceans era Yes sounds at some stages (such as the middle of 'Dark Charade'), and the intro to 'Salutations' reminds me a little of Pink Floyd's 'Hey You' and 'Don't Leave Me Now' updated through some Radiohead and Deftones filters. There's also five-second bursts of King Crimson influence all over the place in spidery Fripp-esque guitar runs crammed in there every now and again by the underrated Dave Gillet. None of it is overt though, its subtle, bubbling under the surface. Hints. Its difficult to pick album highlights in such a well-crafted, concise and consistent body of work; 'Dark Charade' for example has THAT riff, and afterwards kicks off into an exciting build-up that feels like the sequel to 'Downhill' off of the previous record and 'Dead Rope Machine' is just so unique, its like every song has its own identity and something completely singular to offer. Gun-to-my-head I'd have to recommend that you check out 'Winslow' (which people who followed the whole Ghost Apparatus period might recognize) and 'Just A Ride' as your tester-songs to see whether or not you'd like the album. Jesse's drums on those two are particularly excellent. 'Just A Ride' is the absolute perfect ending to this roller-coaster of an album and features the defining lyrics of this whole saga. That said, the whole thing works so well as a single journey that I almost feel bad picking favourites. There are some things you can always count on Rishloo for; Firstly ? interesting, poetic, provocative, intriguing lyrics. Secondly ? powerful, emotional, evocative vocal performances. There's also always interesting, spiraling, unexpected music that will defy initial expectations but feel 'right' once you're used to it. Furthermore you can count on a certain arty air of mystique and most of all, quality songwriting depth that means you never get sick of the tracks, they just get better and better with each listen. Considering all these aspects, this new album is no exception to the rule, no misstep and no weak one in the set. This album has it all; whimsy, brooding, passion, intensity, subtlety, power, aggression, chilled out moments, virtuosic moments and scaled-back serve-the-song-not-the-player moments. Its got a strong sense of diversity yet feels like one cohesive whole throughout and a single journey (or 'ride') from start to glorious finish. If you are a fan of the band then you unquestionably need this satisfying grower of an album. That may be a bit of a redundant sentiment but it's the absolute truth; I know that if you are an existing fan of the band then you probably crowd funded The Ghost Apparatus or pre-ordered the record already and got rewarded with early access downloads, so recommending it to you seems like preaching to the choir? but if you haven't checked out the band yet, or were waiting for the reviews then by all means please do give this a chance. This album is just as good as their previous work and if you give it enough spins to reveal its subtleties and hidden depths you will be greatly rewarded. Oh, and if you enjoy it make sure to go back and check out the rest of their records too! A great effort, if not too special, by a solid band. 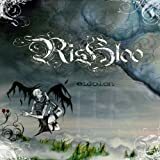 Rishloo have been performing a rather eclectic sort of half-light, half-metal prog, and while nothing of theirs particularly sticks out, they have been ever improving over time, continuing through this album. The lighter parts are beautiful and well done, while the metallic parts are more generic; a common problem, it seems, with a lot of metal playing bands who specialize in playing lulls. As usual, though, this still works out to be great, and Risloo's metal has unique moments. Lead single "Landmines" is the top track, with the best metal and the very best of their excellent lighter side brought forth. This is even one of the better tracks of 2014 in general. It's not lived up to so much by the rest of the record, but this is no disappointment. The opener is great, and the rest of the tracks follow as such. A solid work, Rishloo is an ever improving band, and this is a nice testament to that. Rishloo's 2009 album is an acerbic and hard-hitting one. The vocalist has a mostly astringent and gravelly voice that can be uncomfortable in the higher registers. When the band becomes loud and aggressive, which is frequently, it can be off-putting; indeed, it becomes downright tiring by the third or fourth track. There are a couple of redeeming songs, namely "Diamond Eyes" and "Feathergun in the Garden of the Sun." This album may appeal to fans of heavy, assertive music, but it mostly isn't for me. "Sissorlips" The opening song is a mostly boisterous affair, but also relaxed in some places. The lead guitar has a tone not unlike that of Omar Rodriguez-Lopez of The Mars Volta. "Turning Sheep Into Goats" Clear electric guitar offers an intriguing passage rhythm an equally interesting vocal melody. The growling and yelling during the heavier sections mar the piece. "Systematomatic" The previous track leads directly into this one, which jumps around from one shouted section to the next. "River of Glass" This more bombastic piece continues the sonic aggression, and the vocals stay in a shrill, shouted angry mood throughout, except for about twelve seconds near the end. "Keyhole in the Sky" Fortunately, Rishloo backs off the loudness in favor of a lighter, gentler rock song, even if it is a forgettable performance. The vocalist is content to remain excessive and piercing in places, however. The closing section is an odd bit of electro-pop. "Downhill" This first of two extended pieces begins peacefully with bright, pretty guitar and a thankfully pleasant vocal performance. When it picks up, the lead guitar is somewhat disharmonious, but I enjoy the variety exhibited by the rhythm section here. The album's best guitar solo appears at the end, nearly marred by more caterwauling. "Feathergun in the Garden of the Sun" With volume-swells, slide guitar, and delay, the introduction to this song is one of the best moments on the album. The addition of the distorted guitar distracts from what could have added a layer of dynamics to this harsh collection of songs. That said, it's one of the more memorable tracks. "Dreamcatcher" This fifty-four second interlude is a hushed, atmospheric piece. "Diamond Eyes" I quite enjoy this dredg-like lighter rock song, which eases up and offers a lifting melody throughout. "Katsushika" One more subdued piece, "Katsushika" (a constituent of Tokyo, Japan) has more bright guitars and a solid rather than painful vocal delivery. It builds in typical post-rock fashion. "Weevil Bride" Returning to the heavy rock music and screeching vocals, this last song is not as unpleasant as a lot of the material early on the album. The middle passage is quiet and almost unnoticeable. The last several minutes of the album strangely consist of a single instrument playing light, echoing chords. Man, this album is blowing my mind as I listen to it. It sounds like Circa Survive meets A Perfect Circle, and those are two of my favorite bands. The production is a tiny bit off but I think that may be my horrible speakers. Vocals are great, never over-the-top and always impressive. The guitar playing has an ethereal quality to it and it's simply marvelous. The rhythm section does a really nice job with the various tempo changes; rather than being abrupt and stopping your musical trip...the rhythm section carries you carefully into this ethereal dreamscape. It's something else, and I don't even do drugs! Some parts are slightly metal, but don't let that turn you off. It's just a tiny bit heavier than Rush at their heaviest. Some parts are straightforward rock yet they manage to keep that surreal quality. I truly think this album just must be heard because this band has to be supported. There is so much they can do. The tracks themselves are great and standouts would be Turning Sheep, River of Glass, and Katsushika. But this album has a great flow to it. I need to analyze the lyrics now, that's the only part I'll come back to in my review. 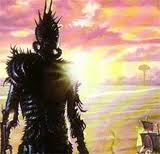 Otherwise, there is a lot of beauty to be found here in the post-apocalyptic guitar playing style. Just check it out and enjoy. This is an album labeled as "Crossover" while it is heavier and even more metallic than what "Crossover" connotes. There are some very clever guitar stylings and effects used herein. Vocalist "Drew" is quite talented and versatile. I find the unusual A-B-A- B-C-D and A-B-C-B-C-D song structures quite refreshing. Though there are weaknesses and areas that this band can improve, I do think this may be a modern day masterpiece of progressive music. starts the album out with one of the, IMHO, weaker songs on the album. Some clever guitar plaing and effects, but the 80s REO SPEEDWAGON "Roll with the Changes" vocals sound a bit too familiar . . . and dated. 2. Turning Sheep Into Goats (9/10) contains some quite melodic guitar playing--not unlike U2's EDGE?with some nice STYX- like (Crystal Ball-Grand Illusion era) vocals plus harmonies. At 1:20 there is a shift to a MAYNARD JAMES KEENAN-style 'chorus', then quickly back to the A section; 2:40 chorus return of Maynard, this time sustained a bit before devolving into a beautiful echo-arpeggio guitar section to fade. 3. Systematomatic (7/10) continues rather seamlessly from the previous song, but quickly develops into the heaviest, most metallic song on the album. At 2:08 there is a shift to an early 80s rock sound (QUEEN or CHEAP TRICK). At 3:00 there is a shift to a very dreamy, eery muted guitar and distant muted vocal section to fade. 4. River of Glass (8/10) is Rishloo's THE MARS VOLTA song. It starts with a beautiful yet ominous intro till 1:12 when the hard rockin music and great TMV-like vocal cut in. 2:35 sees a TMV shift into eerie floating guitar with vocals until the heavy instruments enter. At 4:10 there is another quiet "eye in the hurricane" spell before havoc is returned to end. This one could've been extended to great effect. Amazing vocal performance! 5. Keyhole in the Sky (8/10) begins with a familiar CYNIC/RADIOHEAD guitar sound accompanied by another REO SPEEDWAGON-like vocal until the second verse when the vocal tones relax. This is one of those moments when you realize you are hearing a truly extraordinary singer--versatile, emotional, with excellent lyrical delivery. It's like the band has an extra instrument--and a virtuoso performing it, too. 4:00 sees a weird decay into spacey guitar and carnival keyboard with 'trumpet' soloing to end. in with some odd AC/DC-like standard rock riffs. Then, equally weird, is the album's only appearance of piano--here taking on an unaccompanied solo. Around 4:10 the band returns with a rather drastic shift as an awesome 3-note guitar arpeggio loops ad nauseum to the song's end (four minutes!) while the other instruments and vocals shift, develop and decay, morph all over the place over the top. begins with a 45-second JEFF BECK-like solo guitar intro. When the band enters it is with a TOOL/MAYNARD JAMES vengence. At 2:10 another guitar arpeggio loop appears--this one heavier. Drew's vocal final shows a weakness: in the higher registers. This song is just a bit too pointless--rage against the Shoegazers?--and a bit too sprawling and rambling. 8. Dreamcatcher (8/10) is a pretty little interlude of floating guitar chords. guitar à la NEKTAR's ROYE ALBRIGHTON takes over--accompanied by a PINK FLOYD rolling bass line and some cymbol play. Joined by a tender, haunting vocal till 4:40 when it seems as if the band is trying to 'lift' the song into another, higher gear--to no avail--it's just a tease--until, finally, it all crescendos in the song's final 30 seconds. Awesome!! is an amazingly complexly constructed song--with a kind of DAVID BOWIE/THE BEATLES feel to it-- especially in terms of it's unpredictable melodic twists and turns. Keys and chords shift and change quite interestingly. U2/EDGE/ RADIOHEAD-like guitar play throughout. Incredible song. Great vocal. 11. Weevil Bride (6/10) is, IMHO, the weakest, most disjointed and uninspired song on the album. It starts off great?beautifully? like another THE MARS VOLTA song--but then it gets too heavy--and too meanderful--for its own good. Too DEVIN TOWNSENDish. Some stunning music here--playful guitar and powerful vocal performances. THIS IS NOT "CROSSOVER" MUSIC!! I look forward to more from this band. Risloo are a modern progressive band from Seattle who frequently draw comparisons with bands like Tool and A Perfect Circle for vocal similarities and Dredg, Amplifier, The Mars Volta, Coheed And Cambria or The Dear Hunter basically just by virtue of them playing modern progressive music without sounding too much like any of the 1970s Prog bands. Terras Frames is the band's debut full length studio album, released in 2004, and obviously being the debut of a relatively unknown band doesn't have the most amazing production job in the world, at least compared to their later work or the releases of bigger, richer bands. Compared to the two releases which would follow it, Terra Fames is a lot more restrained and normal sounding both in terms of progressive moments and metal sounding moments; the band don't use as complicated structures or as many guitar effects or experimental tracks and generally write comparatively quite straight forward music throughout. The album also doesn't flirt with heavy moments and screaming in the same way as those that followed it as a general rule, and while there are a few big moments such as on 'Seven Rings Left,' they don't have the same explosive power and ferocity as the biggest moments on their later work have. Despite the fact that their later work took things much farther, and are some of the genuinely best and most exciting records out there, that does not in anyway mean that Terras Fames is in any way even approaching being a bad record. Tracks like the powerful 'The Water Is Fine,' with its impressive drumming, as well as the fabulous 'Illumination,' and the album closer 'Fames,' are well worth the time of any listener and illustrate the vast potential of the band even at this early stage in their career. The band's very strong talent shines through on Terra Fames and the lyrics are just as perfectly formed and impressive as on all their later work. The record is very pleasant to play from beginning to end and nothing on it seems particularly weak or out of place, there are lots of interesting musical ideas on offer and impressive musicianship throughout. Anything from this record would sound great on a compilation or live set amongst their later work as importantly it all still feels like Rishloo. 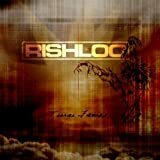 Overall; Terras Fames is something you should definitely pick up once you are a fan of Rishloo, perhaps not the best choice for your first Rishloo album, but still absolutely worth trying. The only criticism one could fairly level at the record at all is that the albums that would follow are better, but that is more of a compliment in favor of those records rather than a problem with Terra Fames. 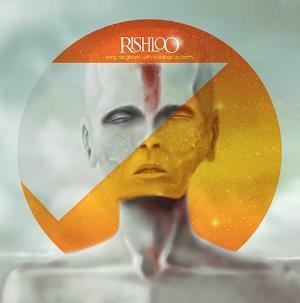 Rishloo are a fantastic and utterly underrated modern progressive band from Seattle. They mix pounding rhythmic buildups and vocally led alternative rock styles with progressive attitudes, effects laden guitar sections and virtuosic musical displays, all in a concise and grand manner coupled with particularly intelligent and evocative lyrics. 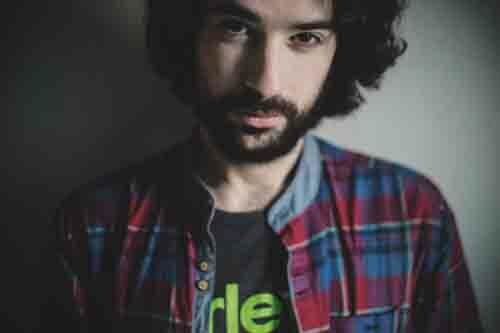 While Rishloo write artistic and creative music suited to fans of progressive rock, the music falls more on the commercial and listenable alternative rock end of the prog spectrum than on the dense, challenging and difficult end. There aren't twenty-minute songs played at 30bpm full of drills, grotesque film samples and dissonant organs; just intelligent and interesting music written and performed by talent individuals. 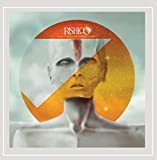 I would urge anyone who is a fan of bands talented and focused like Dredg, Amplifier, The Mars Volta, Coheed And Cambria or The Dear Hunter to try out Rishloo and see if they suit you, chances are you will not be disappointed. Feather Gun is the band's third full length studio album and sees an evolution and honing of the band's sound, moving away (apart from on the brilliant opener `Scissorlips') from easy Tool comparisons and further into a sound that is wholly Rishloo. Additionally, for a band who aren't particularly well known the production job and performances are absolutely sublime, the album sounds amazing and is a genuine delight to listen to. In summary; Feather Gun is a brilliant record from a truly underrated band that fans of other modern progressive artists should really explore. 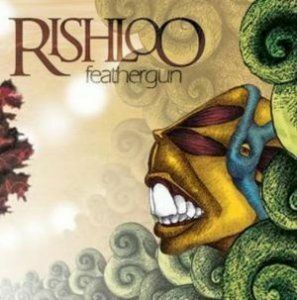 All of their albums so far have been strong and Feather Gun is no exception, if you have any interest in Rishloo pick up a copy, you will not be anywhere close to disappointed.